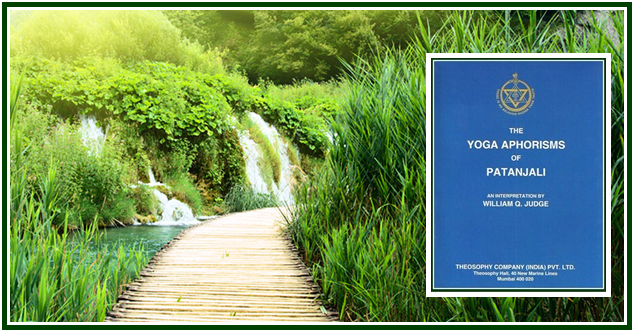 “The Yoga Aphorisms of Patanjali” in PDF. This edition of Patanjali’s Yoga Aphorisms is not put forth as a new translation, nor as a literal rendering into English of the original. In the year 1885 an edition was printed at Bombay by Mr. Tookeram Tatya, a Fellow of the Theosophical Society, which has been since widely circulated among its members in all parts of the world. But it has been of use only to those who had enough acquaintance with the Indian system of philosophy to enable them to grasp the real meaning of the Aphorisms notwithstanding the great and peculiar obstacles due to the numberless brackets and interpolated sentences with which not only are the Aphorisms crowded, but the so-called explanatory notes as well. For the greater number of readers these difficulties have been an almost insurmountable barrier; and such is the consideration that has led to the preparation of this edition, which attempts to clear up a work that is thought to be of great value to earnest students. First published in the associated websites, July 2012.